Gold PC offers a wide range of gaming computers repairs services that solve common issues and overheating issues, fixing gaming computers is our specialty. We literally love to tackle these unique types of computers, especially as they are harder to repair than regular computers. At Gold PC, we offer top gaming computers repairs services to all customers in Bayswater Perth and surrounding areas. Our experienced technicians have worked with dozens of gaming computers so far. They have managed to tackle any type of problem, both common and not so common. In addition to the standard overheating, graphics card failure, lag or temporary freezing, our technicians have dealt with screen tearing, stuttering and complexity of the interface. With so many new releases this year, including Metro Exodus or Doom Eternal, not to mention Resident Evil 2, you probably want to prepare for the onslaught of terrific games in 2019. However, you can’t do that while your computer is sluggish or totally outdated. Instead of investing thousands of dollars in a new one, we recommend you to upgrade it, or repair it at a specialized unit. At Gold PC, we have repaired numerous gaming computers, including Alienware Aurora R7, MSI Infinite A, Intel Hades Canyon, MSI Trident 3 or Dell XPS Tower Special Edition. We’ve also had the privilege to repair gaming computers with a design out of this world, such as Alienware Area 51, Corsair One Elite or DIY PCs. 0415332231 or send us an email at [email protected] and we will be thrilled to meet your beast. 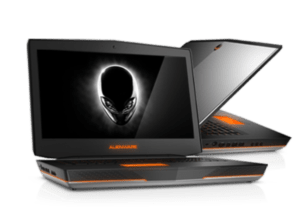 Gaming laptops have stronger configurations and are built to last much longer than standard laptops. Hence the high price tag. Nevertheless, they can still have certain issues that can prevent you from fully enjoying them. One of the most common issues a gaming computer may experience is excessive lagging. Online lag could be indeed a very frustrating experience, especially if you are a pro gamer. If you get more than 120 ms, and your internet connection is secure, then it might be something with the laptop settings. We can help you with that. Our experienced technicians know all the ins and outs of lagging, and they know how to use BIOS and other tools in order to decrease lag and help you enjoy a flawless gaming experience. if your PC is running on HDD, then overheating might be truly a big problem for you. We know exactly what do to in order to prevent overheating from affecting you again. Of course, we also recommend upgrading your gaming computer to SSD. The benefits are multiple, and you can read them all by migrating to a more stable SSD unit. games are supposed to run extremely smooth on gaming PCs. However, gamers may run frequently into this annoying problem of temporary freezing. The screen freezes right when you are aiming for that perfect headshot or when you want to finish off your enemy. Temporary freezing might be the direct result of a decrease in performance. At Gold PC, we use the most advanced tools in order to determine if your computer meets the recommended hard drive, RAM, video RAM, and speed performance. We assess the problem to also determine if there are some programs on your system that are preventing you from enjoying lag-free games. Another issue you might be experiencing when playing games are constant glitches. Also known as artifacts, this weirdness makes texture to appear colored or way too pixelated. The problem here is with your computer’s video card. Whether it’s outdated drivers, incompatible video card or beta drivers, it is imperative to solve the root cause. At Gold PC, we focus on solving the root cause of the problem in order to help you enjoy smooth games with no pixels, glitches or lags. We pride ourselves with having the best team in Perth in the gaming computers repairs industry. Contact us now at LL: 92719924 Mob: 0415332231 and we will repair your gaming computer at once. © 2019 Gold PC Mac And computer Repairs. All Rights Reserved.